Talks | Blackwood Photographic Club of South Australia Inc.
A large audience of 43 members and visitors at our last meeting were present as BPC President, Ashley Hoff, welcomed English visitor Paul Hughes (and North Norfolk Photographic Society member) and his family to our meeting. 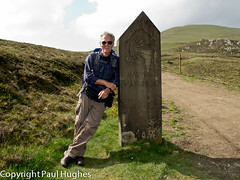 Paul had earlier contacted the club and offered to show his photographic record of his walk through northern Spain along the renowned pilgrim route known as Camino de Santiago – it is also known as the St James’ Way or the French Way. 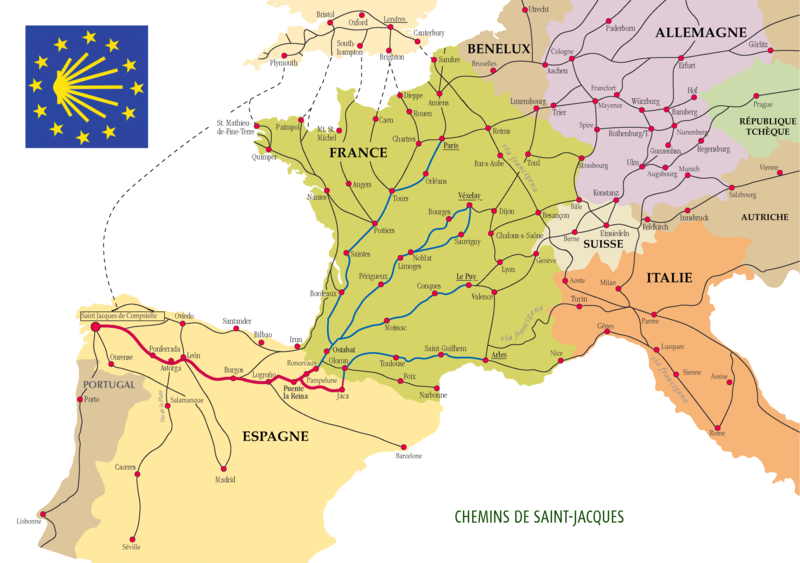 It commences in the French town of St Jean Pied-de-Port and finishes at famous Romanesque Cathedral of Santiago de Compostela, a journey of about 800 kilometers. Paul explained that after much research and with the generous encouragement from his wife Kate he decided to do the walk to mark the year of his 70th birthday. The trade off was Kate would visit family in Blackwood South Australia. The first thing – other than the walk – that Paul mentioned was the need to travel light. He left behind his large SLR and lenses that weighed almost 10kg – his research had indicated that a pack of 7kg was about the limit. Instead he used a smaller Canon Powershot G12 so he could carry clothes and water. In one image he showed us was this travel beaten camera that served him well. It was not long before everyone was being taken along the walk through Paul’s many photos using landscape and portraits as well as well placed videos of the various characters he came across in the many towns and villages he passed through. Paul had initially decided to do the first short leg of the journey up to Puene la Reina. But after returning home and much thought he chose to complete the full journey. The basic but adequate bunk accommodation (including bed bugs) and the camaraderie quickly established between the walkers along the way were experiences obviously enjoyed by Paul. His shots of the Pyrenees landscape to the flat plains known as the bread basket of Spain and the various wine regions along the way were fantastic. The architecture from Roman bridges to modern city buildings, the vast Gothic Cathedral in Burgos and the stain glass in the cathedral at the Leon were outstanding. During Paul’s presentation we were given an insight into the various cultures and Spanish way of life. This included those in the famous wine lands of Rioja, the streets and people of Pamplona, famous for its bull running festival and culturally rich Leon. Upon conclusion Paul invited everyone to view the mementos of the trip has referred to during his presentation. Fortunately, he didn’t bring any of the boots he found – often seen abandoned on the walk. Many members used this opportunity to discuss Paul’s walk with him and to add to the vote of thanks made by Ashley at the conclusion of the presentation.